What Should You Do with Cooking Oil? Plumbing issues can sneak up on you, even when you think you’re treating your toilet, hot water heater, and sink just right. If you want to make your plumber serving Jacksonville happy, it helps for you and your family to know the right way to use your systems. You should also make it a point to maintain your plumbing appliances to keep them as efficient as possible for as long as you have them. Watch this video to see what you should do with cooking oil. If you get a lot of use out of your kitchen, you probably go through plenty of cooking oil. When disposing of your oil, make sure you never pour it down your sink or your toilet. Instead, wait until it solidifies and then throw it in the trash. If you don’t want to wait, pour it back into its original container and then throw that away. What Green Plumbing Products Can Save You Money? When you make the decision to go green , it’s not just the environment that benefits. By using green plumbing products, you can actually cut down on your energy costs and end up saving money. If you’re looking for a more efficient bathroom design near Jacksonville, a low flow toilet may be a great addition. There are many other products that can help you go green and make your home more affordable as well. Keep reading for a quick overview of some of the green plumbing products that can save you money. More and more of today’s appliances are being designed with sustainability and efficiency in mind, and both the consumer and the environment stand to benefit. 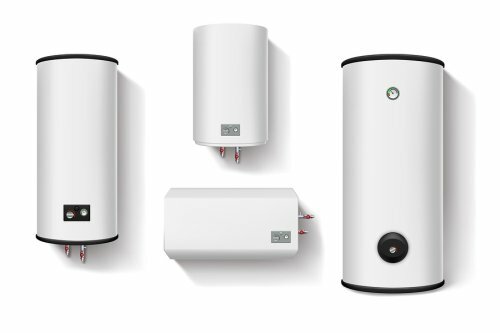 Tankless water heaters have begun replacing conventional water heaters. These new and improved models are smaller, and they don’t suffer from standby heat loss like older units do. Low flow toilets will also minimize the amount of water used when flushing the toilet, which also saves you money. You can even find economy showerheads to cut down on the amount of water that you use when you take a shower. All of these products can help you save money as well as the environment. A bathroom remodel is a savvy investment for your home. 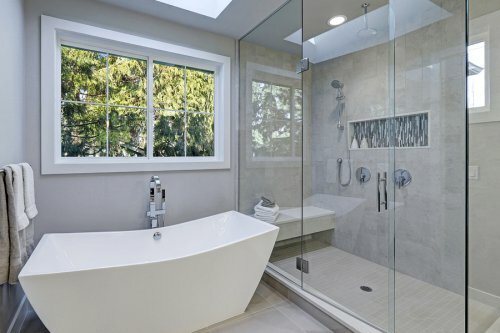 When you hire a plumber serving Jacksonville to perform a bathroom remodel for your property, you may want to take the opportunity to create the luxurious shower enclosure of your dreams. A professional bathroom remodeler can provide you with bathroom design ideas that will help you to achieve a gorgeous new shower installation. After you have gathered your inspiration, you will be ready to embark on your remodeling project. During your bathroom remodel, there are a few shower ideas that you might want to consider. Today’s homeowners are choosing to tile their shower walls and floors with luxurious ceramic tile. A new showerhead can provide you with a spa-like atmosphere at home. Other premium details, such as frameless shower doors, can help to complete your new shower design. If shower safety is a priority, you can also ask your bathroom remodeling contractor to help you choose a non-slip surface for your new shower floor. When your plumber creates a new plumbing system for your home, he will need to install drain line vents for each pipe and plumbing appliance. Drain line ventilation is essential for making sure that water is able to flow smoothly into the main sewer line, without gurgling or getting trapped. Your plumbers in Jacksonville will have the knowledge and tools that are needed to properly place your drain line vents and make sure that your entire plumbing system is operating smoothly. To help you prepare for an upcoming visit from your plumber, here is a look at the basics of what you need to know about drain line ventilation. The primary role of your drain line vents is to make sure that water flows smoothly through all of your drains. Without vents in the drain lines, flowing water would naturally create suction. This suction causes water to gurgle and become clogged. With properly installed and maintained drain line vents, you will be able to ensure that your plumbing system is not plagued by gurgling pipes. A properly installed plumbing system will contain many different drain line vents. In fact, each of your major plumbing fixtures and pipes needs to be equipped with a drain line vent unit. These drain line vents send trapped air to the outside, and they also help to eliminate wastewater odors. Your plumber will know precisely where each vent should be installed for maximum performance. When your plumbing system is having trouble clearing water through the pipes, the problem could lie in your drain line vents. Occasionally, the vents themselves can get clogged with debris. 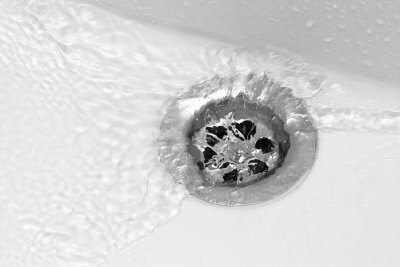 If the vent is fully blocked off, your drains and pipes may start to gurgle, whenever you turn on the tap. Since gurgling drains can indicate several other plumbing issues, you will want to have your plumber come to your home to check out the condition of your drains and vents.